Here at Coffee Bean Investments we are a professional and knowledgeable team with several years experience and practical wisdom when it comes to roasting best coffee beans and supplying wholesale coffee beans for selected businesses, offices or the general public. We are personally available to have a chat and you can meet some of our selected staff at our very own Chill In Cafe located in Arniston providing the locals with some of the finest and freshest roasted coffee to be consumed at your pleasure. With us you will see a guaranteed commitment to servicing your coffee beans needs. We offer premium roasted coffee beans sourced directly from some of the most reputable coffee plantations on the globe, including such single source origins as South Africa, Rwanda, Ethiopia, Burundi, Kenya and Cameroon. We offer options that are rare in today's coffee society permeated with beans that are not roasted as fresh or locally. 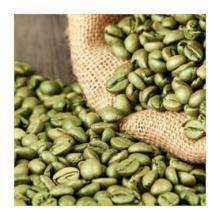 We even have green coffee beans for those home roasting enthusiasts and for businesses with their own roasting machine. We give you the confidence to purchase coffee beans over the web. Purchasing online coffee beans has never been more simple or affordable. When it comes to coffee, we are extremely passionate about roasting only the finest, freshest coffee beans, ground daily to perfection for you to enjoy! When you place an order with our reliable team you will encounter hassle-free service and a simplistic layout with our online shopping cart and easy payment options. We do secure payments. And you also have the option of doing a bank transfer too. We can guarantee your order will be shipped within 24 to 48 hours of receiving payment.